Andy Weir's debut novel is a story of survival, isolation and adventure. 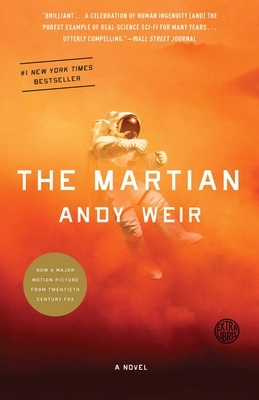 Set in the not-so-distant future, astronaut Mark Watney finds himself stranded on the surface of Mars with no way to contact Earth or let NASA know he's still alive. What follows is a thrilling tale of adventure and science fiction that is perfect for Asimov, Arthur C. Clarke or Into Thin Air readers.